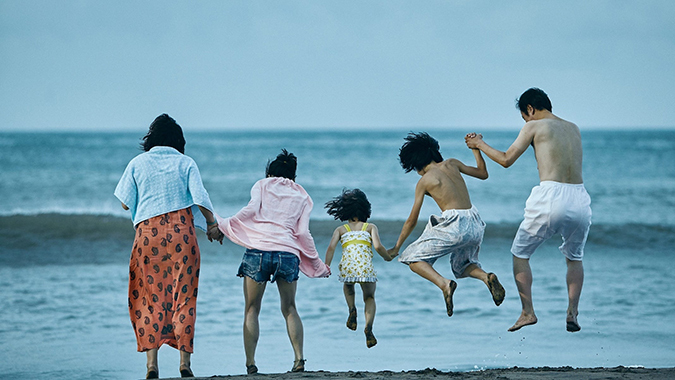 Question the meaning of family and ethics of survival with the Japanese dramedy Shoplifters. Director Hirokazu Kore-eda’s (Like Father, Like Son) emotional exploration of the perseverance and tenacity of society’s outcasts and the love that sustains them will be available on DVD and Digital HD on February 12 from Magnolia Home Entertainment. 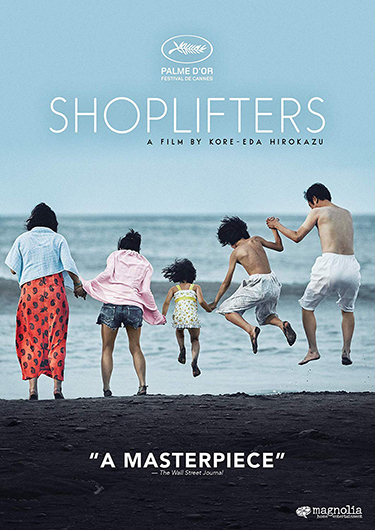 A “poignant portrait of imperfect people but a profound meditation on the meaning of family” (Entertainment Weekly), Shoplifters details the daily lives of a group of outsiders who, through various circumstances, have found themselves on the outskirts of society, but bonded together in a pursuit of survival. Centered on a family’s penchant for petty theft and grifting, the film’s portrayal of the moral complexities of poverty and child welfare have “much more to say about the active choice of being a family member – especially a parent” (Vulture). Kore-eda’s masterful approach to depicting the human connection, as previously seen in his 2013 Cannes Jury Prize winner Like Father, Like Son, allows Shoplifters to achieve the “ultimate goal of art…It’s art that makes life more interesting than art” (Slate). Shoplifters will be available on DVD for the suggested retail price $26.98 and on Digital HD via Prime Video, iTunes, Google Play, FandangoNOW and more on February 12.